ANZAC day is a term that broadly commemorates all Australians and New Zealanders who served and died in all wars, conflicts, and peacekeeping operations along with their contribution and suffering of all those service people combatant or other logistical operations who have served. When war broke out in 1914, Australia had been part of the federal commonwealth under Great Brittan for only 13 years. The new national government was eager to establish a Stella reputation among the other nations around the world. In 1915 Australian and New Zealand Army Corps (ANZAC) formed part of the allied expedition that set out to capture the Gallipoli peninsula in order to open the Dardanelles to the allied navies. The objectives for the Allies in that geographical area were to capture Constantinople (now Istanbul in Turkey), the capital of the Ottoman Empire, an ally of Germany. The Australian and New Zealand forces landed on Gallipoli on 25 April, meeting fierce resistance from the well prepared Ottoman Turkish defenders. The Allies had planned to knock Turkey out of the war expediently however that quickly turned in to a stalemate, with the campaign dragging on for eight months. At the end of 1915 the allied forces were evacuated, after both sides had suffered heavy casualties and endured great hardships. Over 8,000 Australian soldiers had been killed. The 25th of April was officially named Anzac Day in 1916. It was marked by a wide variety of ceremonies and services in Australia and aboard. A march through the streets London, while the Australian troops participated in a sports day in their camp in Egypt. The march in London saw over 2,000 Australian and New Zealand troops gather to marched through the streets. A London newspaper at the time headline dubbed them “the knights of Gallipoli”. Marches were held all over Australia; in the Sydney march, convoys of cars carried wounded soldiers from Gallipoli attended by nurses. The Dawn Service observed on Anzac Day has its origins in a military routine, which is still followed by the Australian Army today. During battle, the half-light of dawn was one of the most favored times for an attack with the dim light covering the preparations hoping to catch the enemy napping. Soldiers in defensive positions were woken in the dark before dawn, so by the time first light crept across the battlefield they were awake, alert, and manning their weapons; this is still known as the “stand-to”. As dusk is equally favorable to thrust their attacks across no man’s land, the stand-to was repeated at sunset. Rosemary is also traditionally worn on Anzac Day, and sometimes on Remembrance Day. Rosemary has particular significance for Australians as it is found growing wild on the Gallipoli peninsula. Since ancient times, this aromatic herb has been believed to have properties to improve the memory. During World War One, the friends and families of soldiers and community groups sent many packages to the serving lads on the front line. Letters containing updates of their home life “what the kids where up to” and “we bitterly miss you”. Food was also to be included in their packages to ensure “their boy’s” were well looked after. Due to the time delays in getting food items to the front lines, they had to send food that would remain edible, without refrigeration, for long periods of time that retained high nutritional value; the Anzac biscuit met this need. Although there are variations, the basic ingredients are: rolled oats, sugar, plain flour, coconut, butter, golden syrup or treacle, bi-carbonate of soda, and boiling water. The biscuit was first known as the Soldiers’ Biscuit. The current name, Anzac Biscuit, has as much to do with Australia’s desire to recognise the Anzac tradition and the Anzac biscuit as part of the staple diet at Gallipoli. The Anzac biscuit is one of the few commodities that can be legally marketed in Australia using the word ‘Anzac’, which is protected by Federal Legislation. 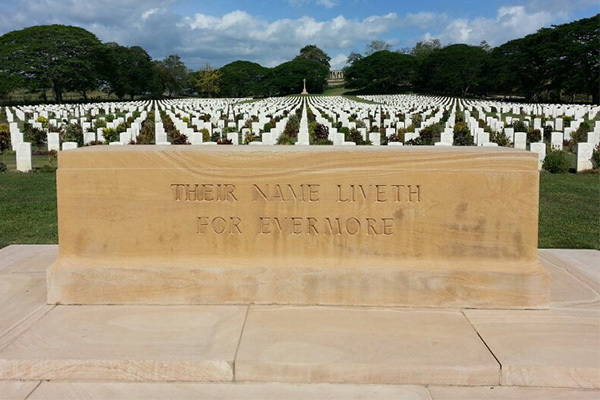 The outbreak of World War 2 saw the sons on the Anzac legends join the 2nd AIF. Their battles saw them up hold Australia’s status as one of the worlds best assault attack infantry. These battles included Tobruk, the Syrian campaign and of coarse KOKODA. The Australian’s Army had their backs to the wall on the Kokoda trail as they probed, harassed and wore the enemy down in to a retreat back over the Owen Stanley Range.